HARMONY is a hackathon-type meeting, with a focus on development of the standards, interoperability and infrastructure. 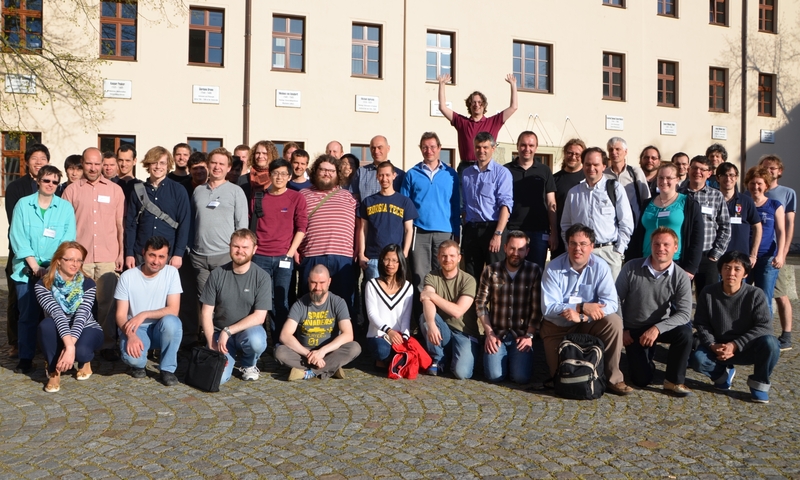 There are generally not many general discussions or oral presentations during HARMONY; instead, the time is devoted to allowing hands-on hacking and interaction between people focused on practical development of software and standards. 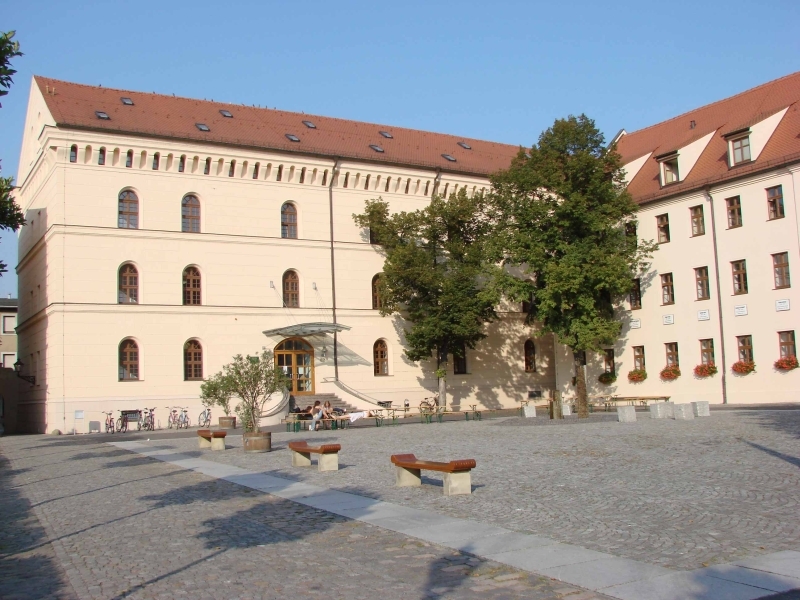 The HARMONY 2015 meeting was hosted by the groups of Falk Schreiber and Dagmar Walthemath at the Leucorea Wittenberg, part of the Martin Luther University Halle-Wittenberg, Germany. The overview agenda for HARMONY 2015 is shown below. The detailed agenda for the parallel breakout sessions is available on a separate page. 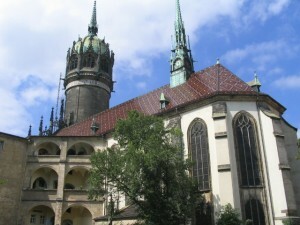 HARMONY 2015 takes place in Wittenberg, Germany at the Leucorea (only in German, some English information about the Leucorea is available here). A map with locations relevant for HARMONY 2015 (hotels, restaurants, ...) can be found here. A printable city map (only in German) can be found here. A number of rooms are provided by the Leucorea at a discount rate. Please contact the organisers directly regarding accommodation at the Leucorea. If rooms are not available anymore or if you prefer to stay in a hotel we recommend the following hotels in walking distance to the venue. 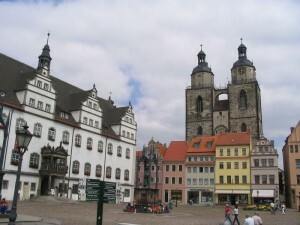 You might also consider to contact the Wittenberg tourist information. If you plan to travel by air and train you can either go to Berlin (Airport Berlin Tegel TXL or Airport Berlin Schönefeld SXF), to Leipzig (Airport Leipzig/Halle LEJ) or to Frankfurt (Airport Frankfurt FRA). For more information see also Travelling by Train. 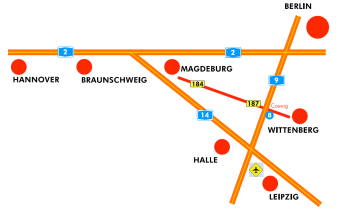 You can use the journey planner on the web page of Deutsche Bahn to plan your trip (please enter 'Lutherstadt Wittenberg' as destination and select 'Lutherstadt Wittenberg' from the pop-up menu). From Wittenberg main station to the Leucorea you can either take a taxi or walk. The Leucorea is in a 10 to 15 minutes walking distance from the station. 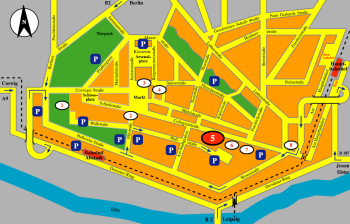 The street address of the Leucorea is Collegienstraße 62 in 06886 Lutherstadt Wittenberg. Please be aware, you can't go by car in Collegienstraße since it is a pedestrian area. 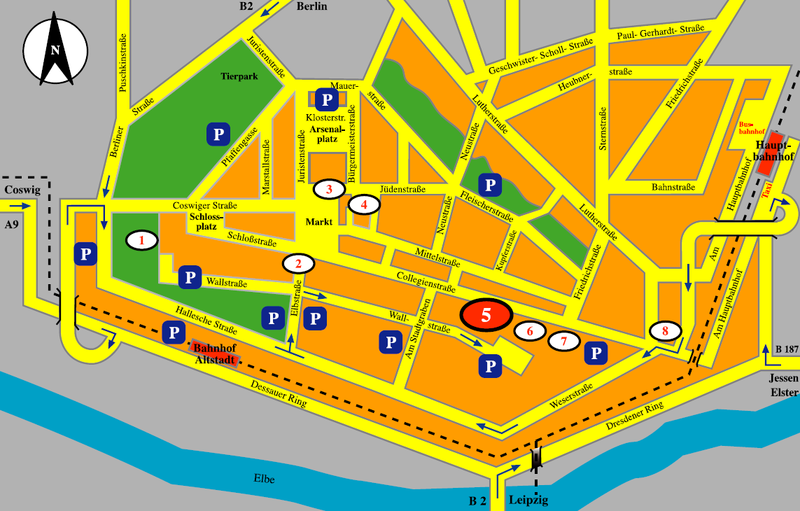 Instead you can drive through Wallstraße which runs in parallel to Collegienstraße. Parking is possible in the yard of the Leucorea. 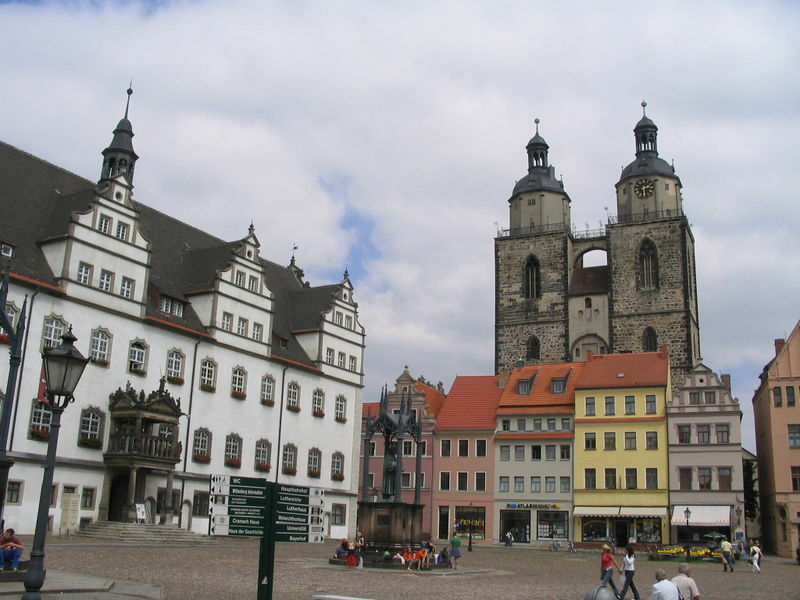 More information about Wittenberg can be found on the official tourist office page, on its Wikipedia page or on Uncommon Travel Germany. Information about the most important sights can be found here. The optimal poster size is A0 in portrait orientation: 841 mm x 1189 mm or 33.1 in x 46.8 in (width x height). If you are travelling from abroad, make sure to bring an appropriate travel adapter for your laptop and all other electrical devices you are bringing. The mains supply in Germany works with 220 V at 50 Hz. The plug types are Type C and Type F. For more information on electrical standards see also Electricity around the world. The weather in Germany in April can be unsettled with temperatures ranging from around 10°C to 20°C (50°F to 68°F). There is a chance of rain, so make sure to bring an umbrella and some wet weather clothes. 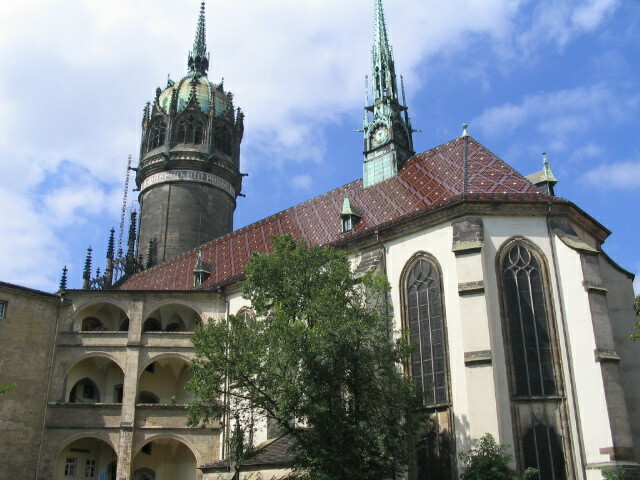 Falk Schreiber, Monash University, Australia & Martin Luther University Halle-Wittenberg, Germany. Dagmar Waltemath, University of Rostock, Germany. Tobias Czauderna, Monash University, Australia. Chris J. Myers, University of Utah, USA. David Nickerson, University of Auckland, New Zealand.